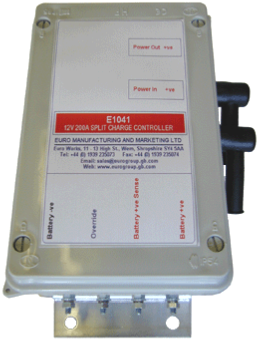 This unit was designed to control the charging of a secondary (leisure) battery from the primary charging system. 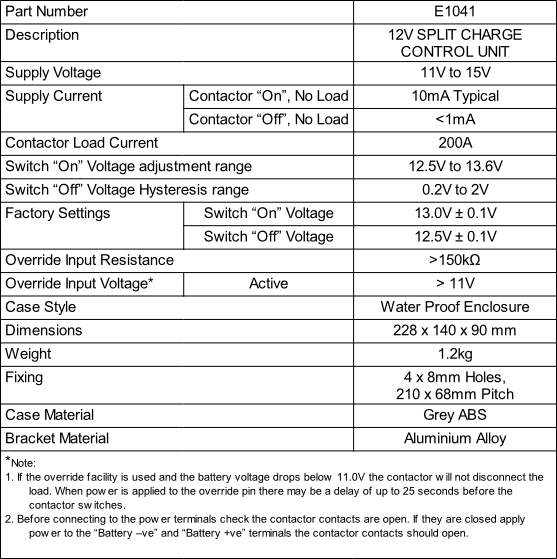 The voltage of the primary battery is monitored. During charging when its voltage rises above the Switch “On” voltage (13V) then the secondary battery is connected in parallel thus charging both batteries. After charging, when the primary battery voltage drops below the Switch “Off” voltage (12.5V) and after a short delay, then the secondary battery is disconnected, leaving enough charge in the primary battery to start the engine. The unit switches to low power mode until the primary battery is recharged and the voltage again rises above the Switch “On” voltage then the secondary battery is connected in parallel again charging both batteries. An override pin allows both batteries to be connected* for emergency use only.